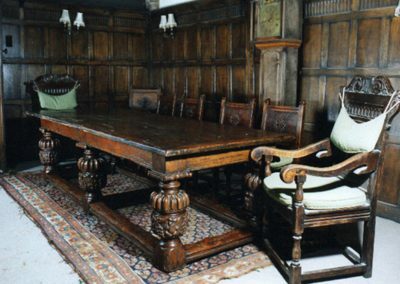 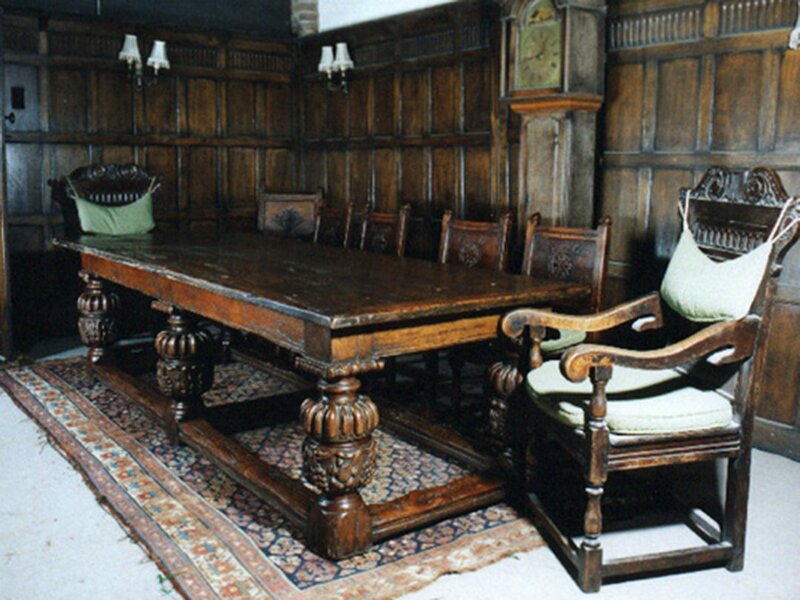 The classic Refectory dual purpose table, shown here in dining mode. 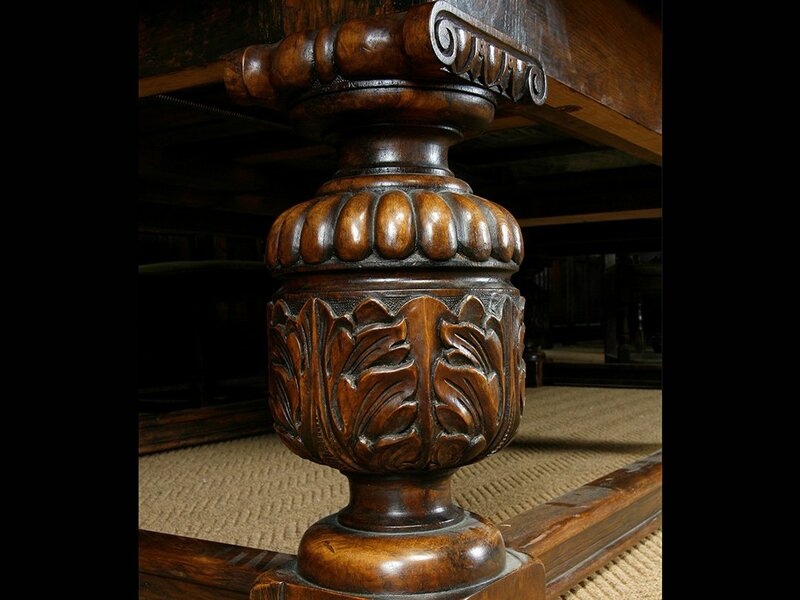 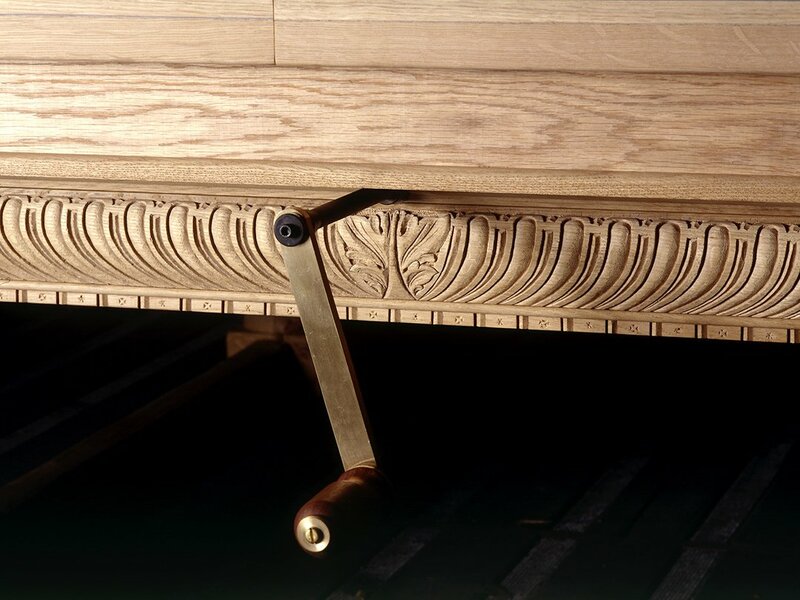 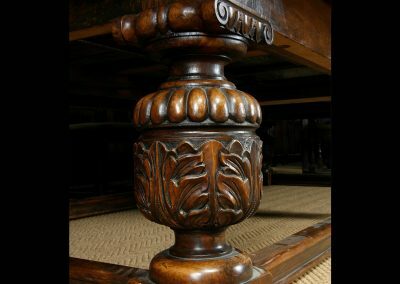 Available in sizes from 8 ft – 12 ft, it looks as good in Mahogany, limed Oak or Ash as it does in the dark Oak pictured above. 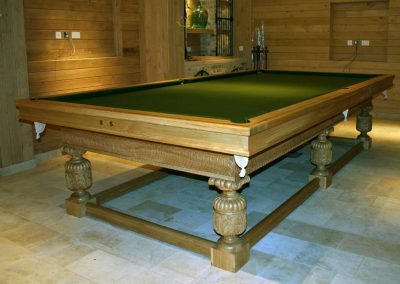 A specially engineered and geared wind-up mechanism transforms the table from dinning to playing height..